Art & Beyond Publications, published by Art & Beyond Studio, Inc. established in 2003, is the bridge between artists and the global art world. Art and Beyond Studio began as a graphic design company and as well as an art studio that hosted various art related events as well as private art classes. The company quickly flourished, recently adding a new line of business strictly geared toward helping artists succeed in their art career. If you are an artist who is eager to get gallery representation, let us show you what we Art & Beyond Magazine and Art & Beyond Magazine Online can do for you. The most important thing to remember is that potential buyers most often prefer to purchase art from “published artists”. This publication was formed to produce a powerful marketing tool in the form of Art & Beyond Magazine with one sole purpose, to help artists expose and promote themselves to art galleries, art museums and publishers. Art & Beyond Magazine will thus be utilized as a “self-promotional tool to produce real results at an affordable expense to artists.” Self-promotion is not an easy task; it takes a great deal of dedication and effort on the behalf of the artist who is determined to be successful. Being published once in Art & Beyond might not bring you instant success, as galleries might not be ready to bring new artists onto their exhibition floors at any given time. If your presence on the pages of Art & Beyond is consistent, you will be able to demonstrate your current works multiple times and aid in producing results by helping you attain your goals for exposure and acceptance in the industry. For all Art & Beyond Publications, there will be a select panel of 3-4 highly qualified jurors including: Mila Ryk – Publisher, Leon Oks – Associate Professor of Fine Arts and Alina Lampert – previously Curator and Assistant Gallery Director in New York and currently Editor in Chief of Art & Beyond Publications. 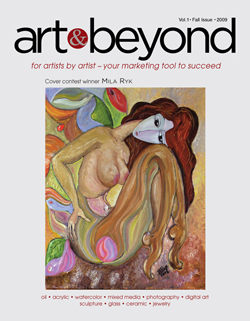 Art & Beyond Magazine offers a unique opportunity for artists to participate in the cover competition. All four covers will be awarded as a first, second, third and fourth prices to the artists who purchase a content in the magazine (One full page – compete for all 4 covers, 1/2 page – compete for inside covers only). Detailed information how to apply can be found in the Entry Form (online application). This is the Online Publication that brings your art to numerous Gallery Directors and Owners. 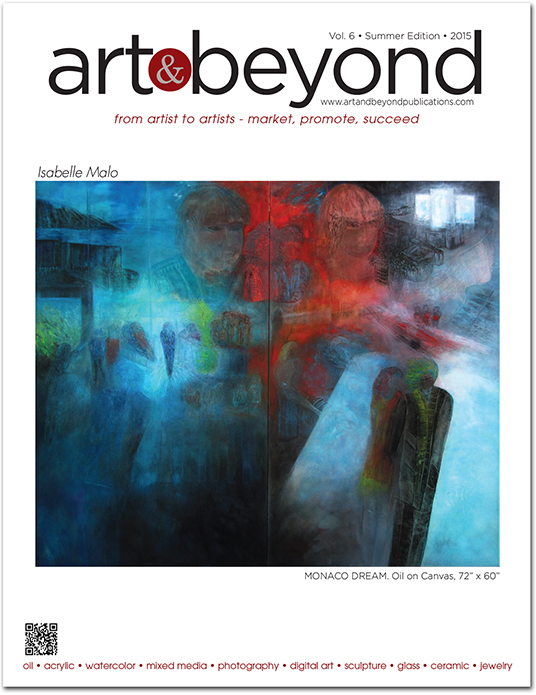 Artists are given the extraordinary opportunity to be published in this bi-monthly online version of the Art & Beyond Magazine. Artists will be given a chance to present their work to a wider audience using the World Wide Web as a powerful tool to promote their work. Art & Beyond Online Magazine is an added promotional tool for those interested in gaining more exposure and a wider audience through the web. The Online Magazine will be published bi-monthly and a bi-monthly newsletter will be distributed to subscribed Art Galleries in the United States and abroad to notify them of artists being published in the Online Magazine. This is a great opportunity for artists to promote themselves and gain additional exposure not only in the United States but Internationally. Galleries will be able to contact artists directly and instantly using links provided in the Magazine to artists’ personal websites and contact information. Detailed information can be found in the Entry Form (online application). Art & Beyond Publications provides a space to create an online gallery to Members of Art & Beyond Publications. Detailed information can be found on the Entry Form you are choosing to participate. Both Magazines are exclusively distributed to art galleries, museums and art institutions. 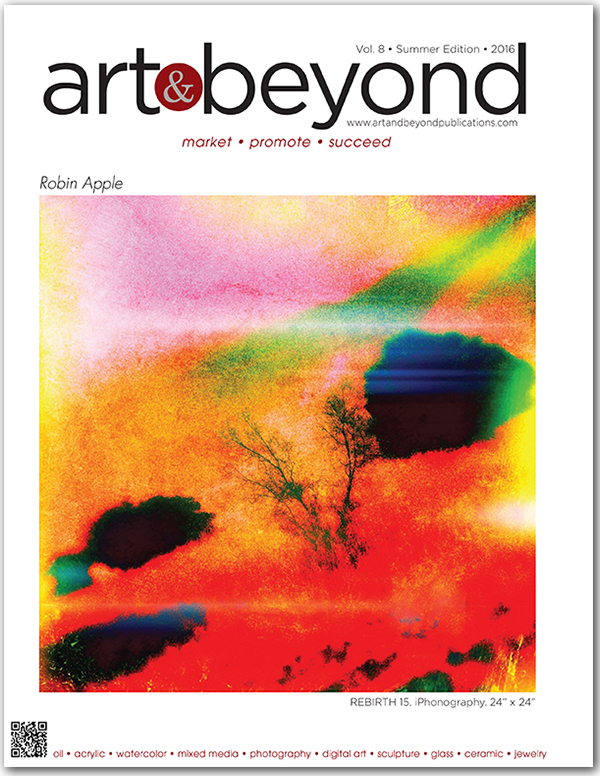 Art & Beyond Magazine Online is distributed to galleries via bi-monthly E-Newsletters and Art & Beyond Magazine is distributed two (2) times a year by mail. Both publications are promoted through the Social Media: FB, LinkedIn, Twitter, Google+, Pinterest, Red, Digg and number of other portals. We are unlike any other web based art sites that offer you to sell your art through their online gallery. We offer for you to be published and promoted to galleries and art institutions. To make publishing even more affordable we offer artists to become members of Art & Beyond Publications. The membership program can be found on the Membership page. Please explore artists opportunities created specifically for you and choose. As an artist in search of exposure and recognition, finding your art on the pages of an art book would be the ultimate prize. 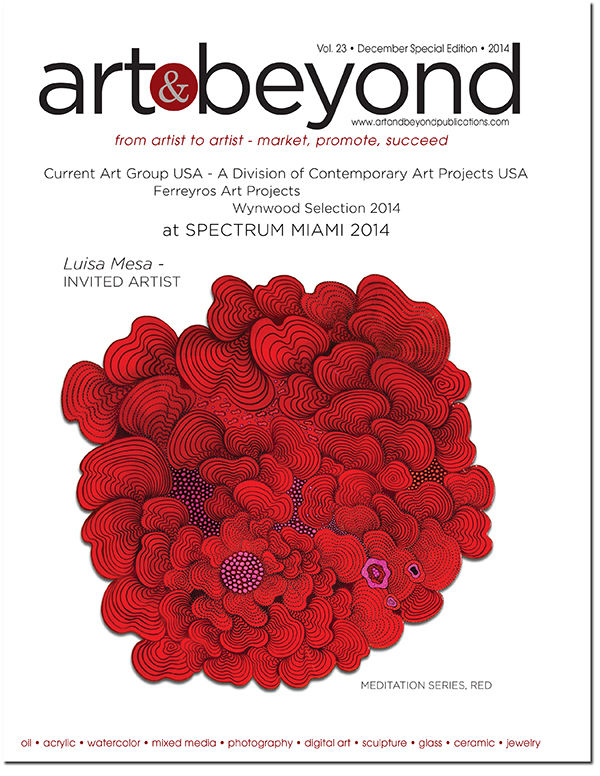 Art & Beyond Publications is offering you this opportunity. 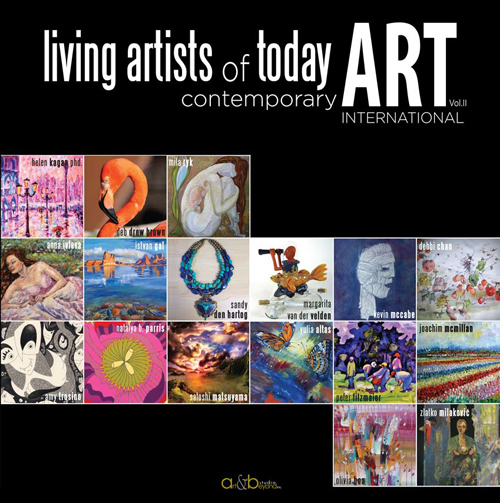 We are currently searching for artists to be published in a series of collectible art books titled Living Artists of Today: Contemporary Art. We invited all contemporary artists to participate in the competition to be published in a variety of categories. Our books will be given full recognition in the art industry. Please visit the Books page for detailed information. 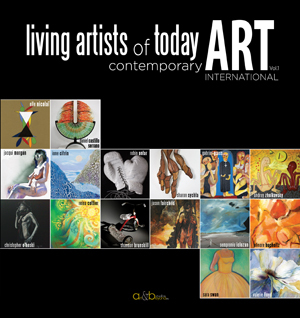 Art & Beyond Publications invites all artists to apply to be published in the art books titled Living Artists of Today: Contemporary Art, in a variety of categories. Our collectable books will include 35 to 45 artists. Each artist will be given 2 full pages that include 2-3 images and a short biography with personal contact information. Our books will be given their own International Standard Book Number (ISBN), Copyright, Library of Congress Catalogue Number, and industry registrations with over 25,000 retail outlets (Amazon, Barnes & Noble, eBay, etc.). These book title will be carried by a strategic partners of Author Solutions and by Ingram (which is the biggest distributor in the United States). 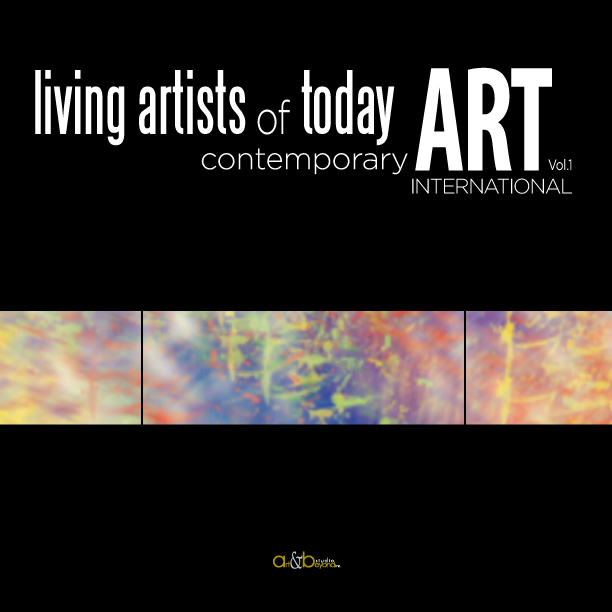 Visit the Books section on the website and learn how to apply to be published in the Living Artists of Today: Contemporary Art series. Every published artist in the book will be given additional exposure in our online Gallery which includes artists contact information and short biography. We are grateful for any possible donations you give for developing our publications. The money will be help funding our Awards program for the Art and Beyond Magazine cover competitions. We can not offer tax deductions for any of the donated funds. Apply today and don’t miss this exciting new opportunity from Art & Beyond Publications!